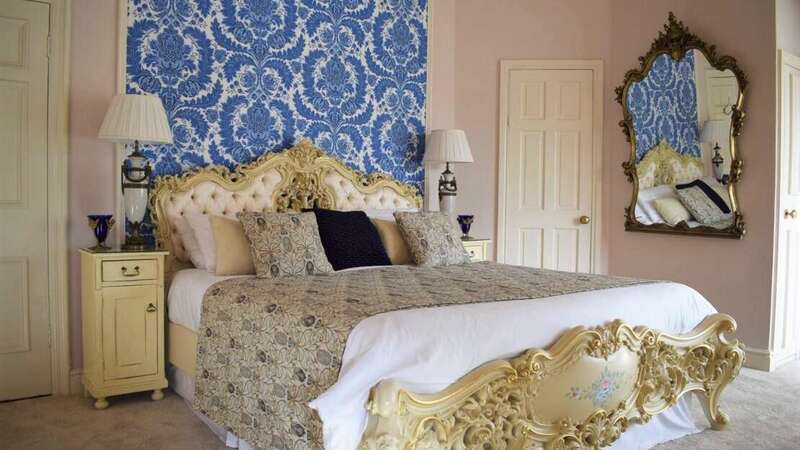 Opulence at its best. 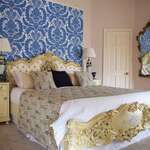 Exclusive and large with the finest handmade Italian furniture. 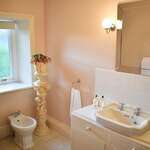 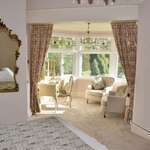 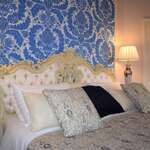 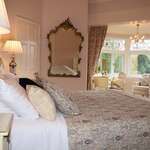 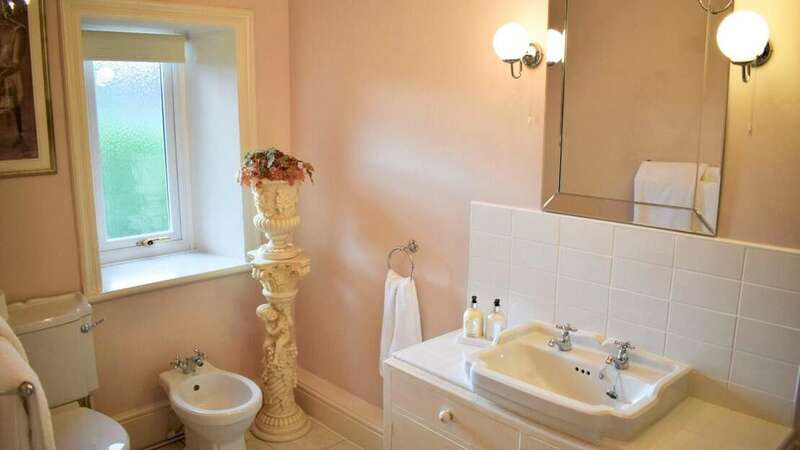 Includes a king size Italian bed, walk in wardrobe, comfortable sofa area and large en-suite with shower and bath. 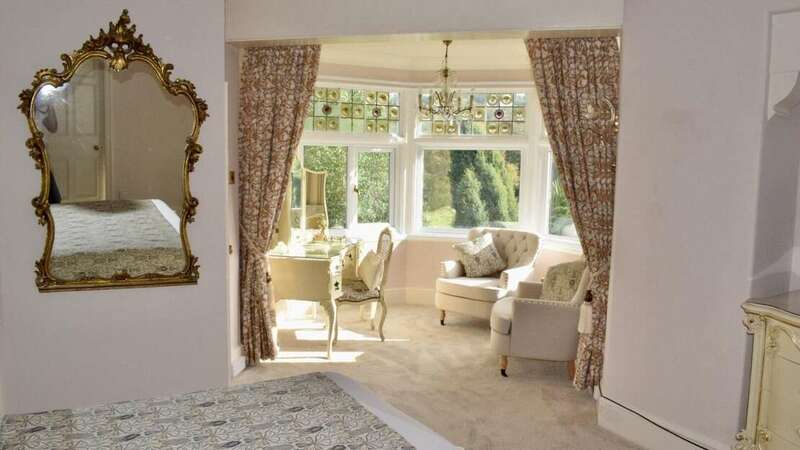 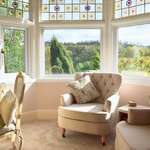 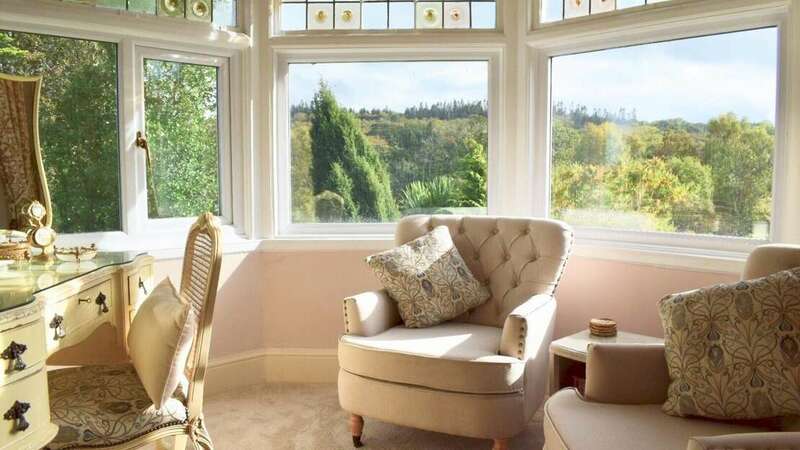 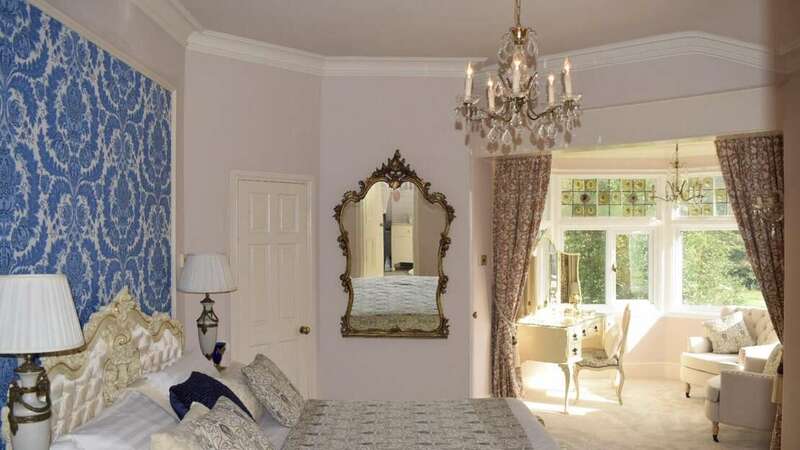 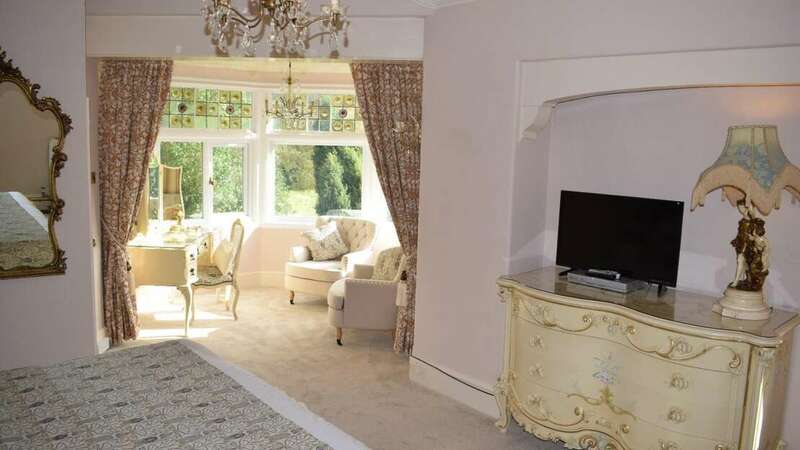 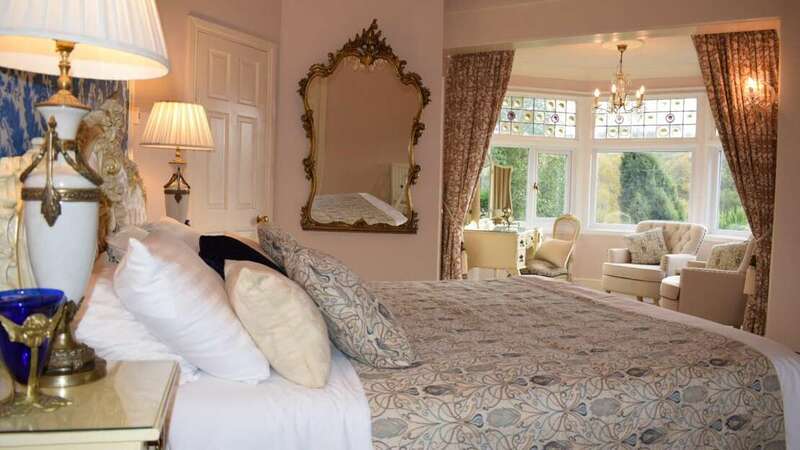 It’s lavishly decorated with panoramic bay windows that provide uninhibited views of the garden and grounds. 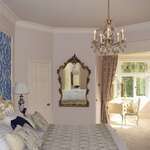 Steeped in history it was the King Edward VII of England and his mistress, Lille Langtree's favourite room. 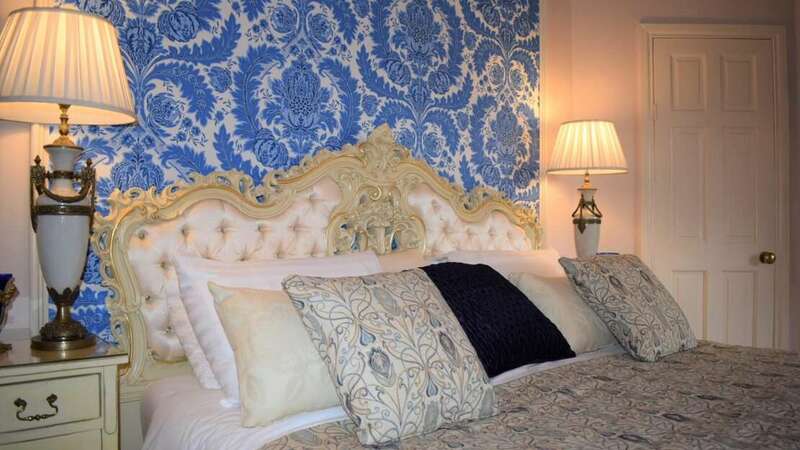 Furthermore the Italian furniture was used by Tom Cruise and Nicole Kidman in the bedroom scene of Eyes Wide Shut.